Amsety wants you to try their amazing organic products. These nutrition packed protein bars make an awesome healthy snack! 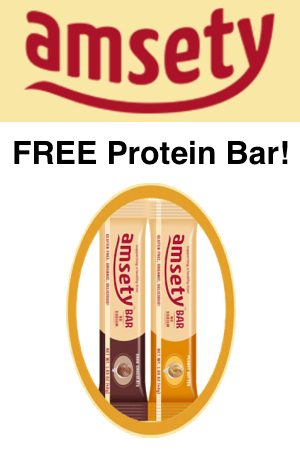 Amsety Bars come in two delicious flavors: dark chocolate and peanut butter. They use only the finest ingredients with top local suppliers, manufactured in sunny California! Click the “Snag This” link now to get your FREE sample now. For more products like this, shop on Amazon.